Got some troublesome, undesirable, unhealthy, or just plain ugly trees you want to get rid of? Fallowfield Tree Farm Professional Tree Removal Service – can make them a thing of the past for you – with no stump left behind! Unless you happen to have a massive tree scoop parked in your driveway – if you have problem trees – you could probably use our help. In addition to what grows above ground, large, established trees can be very deep-rooted, too… both of which can make them tough to remove safely and effectively. Indeed, removing them takes specific knowledge, skill, and precision – especially if you want to re-plant that tree somewhere else. 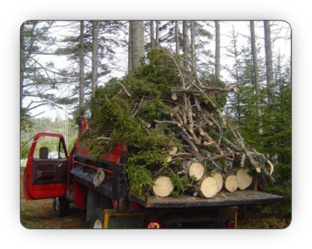 The experts at Fallowfield Tree Farm will make removing your tree(s) simple, quick, clean, safe, and stress-free… and who doesn’t love to hear that? Think how much nicer your yard will look without those rotten, decaying relics of trees gone by. 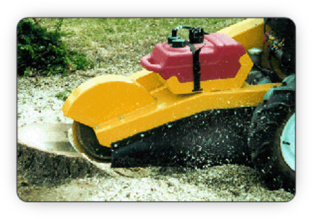 By grinding the stump, we avoid having to dig up your yard with all the inherent disruption associated with it.